Michal Lyons was a professor of urban studies at London South Bank University (LSBU). Trained as an architect, her major specialisation was urban studies in the developing world, mostly focused on Africa. Microfinance, housing, health, street traders, legal pluralism, post-natural disater reconstruction etc. were the areas that took her interest. Her body of work demonstrates that she was a serious scholar with high international significance and an enviable reputation. And central to her scholarly work was the plight of the “little guy” i.e. the needy and the dispossessed. 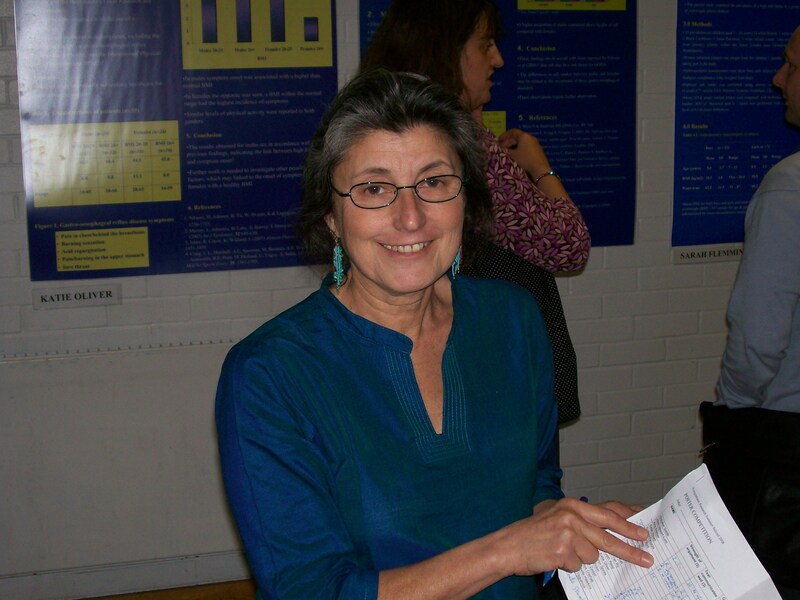 In the last years of her life, Michal was engaged in seriously advocating to her research students to help them avoid being mere armchair or Ivory Tower scholars and become full time activists because, “there are innumerable people out there who are helpless and require the benefits of the judicious applications of your skills” to help them with their lives and livelihoods. To those who knew her much earlier, real world impacts were always the focus of her research. Michal’s vocation saw her work published in major journals relevant to her research and also necessitated her to visit many areas of Africa conducting fieldwork and seeing for herself the realities of the social problems she was committed to understanding and solving. Michal was also highly successful in winning major research grants from bodies such as DFID, ESRC, the British Academy etc. Michal happened to be rare gem of an academic within a university. She joined LSBU in 1988 and remained there up till her death in March 2013. Headhunting exercises from more prestigious universities could not persuade her to leave. One of her major roles at LSBU in the last years of her life was as director for post-graduate student studies at the Institute of Social Science Research (ISSR), a role she embodied untiringly with her heart and soul. She was the professor who took all students along with her; she supported the more able and gifted students to better their skills and supported the less focused and less able to catch up with the rest. Most of her PhD students and colleagues unanimously agree that she was a highly productive academic, a very enabling supervisor (even to students she did not supervise directly) and a career mentor (who was more interested in what her students could or would do with their PhDs rather than just completing the course). Furthermore, she was effectively played the roles of social worker (dealing with numerous personal problems of her students benevolently and decisively), financial supporter and an adept academic crisis manager. Many of students would not have been able to complete PhDs without her support; I represent one of her best examples of such. I was regularly hospitalised during my PhD studies due to some intractable medical conditions. Michal would visit me in hospital bringing me chocolates, flowers, prints of journal papers, newspapers, books or even a homemade salad or sandwich plus inspiring words of encouragement. What I valued most was she never treated as ill or disabled but as a student with a very bright future and she proved it by making me her main and future long-term research collaborator immediately I was available. Michal had an impressive poetic skill to uplift the spirits of many a disillusioned, distressed or frustrated student and would diligently use her powers of a professorship to commit to and uphold her side of the responsibility. Michal was incontrovertibly a bright light, with a very bright personality that touched people very positively even when it appeared there was nothing to be positive about. Many of her students got accustomed to the fact that when they had problems Michal would fix them and always did. She was also a complete meritocrat with a difference i.e. an advocate of meritocratic effort without meanness or ruthlessness but with encouragement, inspiration, dialogue and support. Michal’s passing away has left a big gap in her role at the university and in her field of research. Whether the gap will be filled is uncertain, considering level of excellence she took the role to. But knowing Michal very well, she would wish her work continues and someone could do the job she left behind as well as she would have done it or even better. That was the kind of person she was. Michal is survived by her husband Richard who is also an architect, her daughters Timna and Minat, and her son, Cyrus. She remains a dominant, enabling and unforgettable influence on her countless students and colleagues. Grimot Nane is a former research student and former research collaborator of Professor Michal Lyons at the ISSR. Grimot, thank you for writing this. Timna.